Dixie Land Guide Dog Users: Paws 2 Meet Laurel Jean! Paws 2 Meet Laurel Jean! An accomplished recording artist, composer/writer, vocalist, pianist, and motivational speaker, Laurel Jean has dedicated her life to presenting God’s message with her music. Laurel began her professional career at 14; produced her first album while still a teenager and has 12 CD’s to her credit. The epitome of “independence”, Laurel frequently travels all across the country accompanied only by “White Lightning”, her long, white cane. 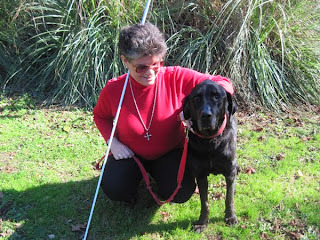 When asked why she chooses not to use a dog guide Laurel smiles and replies, “Well, I love dogs-all dogs. If I’m traveling on a job and my cane breaks, I can always get a new one. If I had a guide dog, though, and something happened to it while traveling...well, it would just break my heart!” She is very active, enjoys scheduling her own travel itinerary, as well as hiking/walking, tandem biking and bowling. Laurel quickly adds that she has a dog, Zettie-a beautiful black lab mix. "She’s not a service dog. She's my little girl and I love her with a love that is bigger than life!" 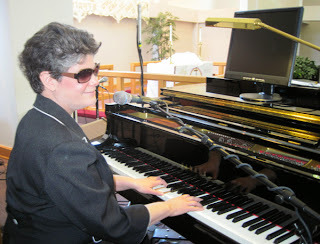 In addition to her music, ministry, and Chaplaincy for God’s Blind Kids of all ages, Laurel is a Certified Braille Proofreader by the U.S. Library of Congress. 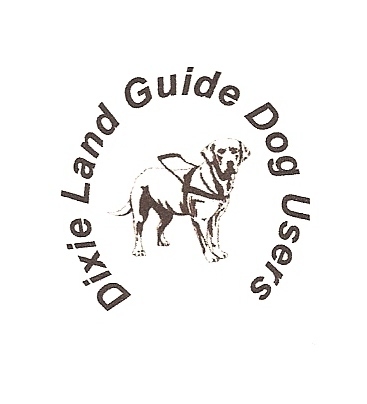 She also serves as Secretary/Treasurer of Dixie Land Guide Dog Users and, in fact, created and maintains this website. Laurel dedicates much of her time towards helping others. One of the many ways she serves God is by providing talking Bibles to those who cannot read because of blindness or severe learning disabilities. She truly does shine His Light on those who would live in perpetual darkness. 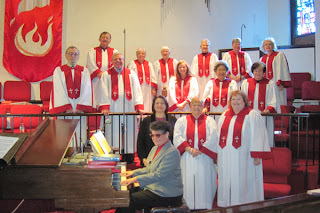 Two of Laurel’s favorite things to do, though,would be to sing and play the piano for the choir at her home church, Grace United Methodist Church, Charleston, SC. She even used her computer to print out one of her very own songs for the choir to sing with her! She never ceases to amaze us with her unbridled adventurous nature. Last year she displayed her dancing skills with the Interpretive Dance group and she’s already planning to try her hand at acting in this year’s Easter production. She has even been known to assist withmeal preparation for church fellowship events! If that isn’t enough, Laurel continues to serve as a vital member of our Dixie Land Guide Team when we’re out doing a “Paws 2 Educate” program and is already working hard in the planning of next year’s Top Dog-Charleston, 2015!